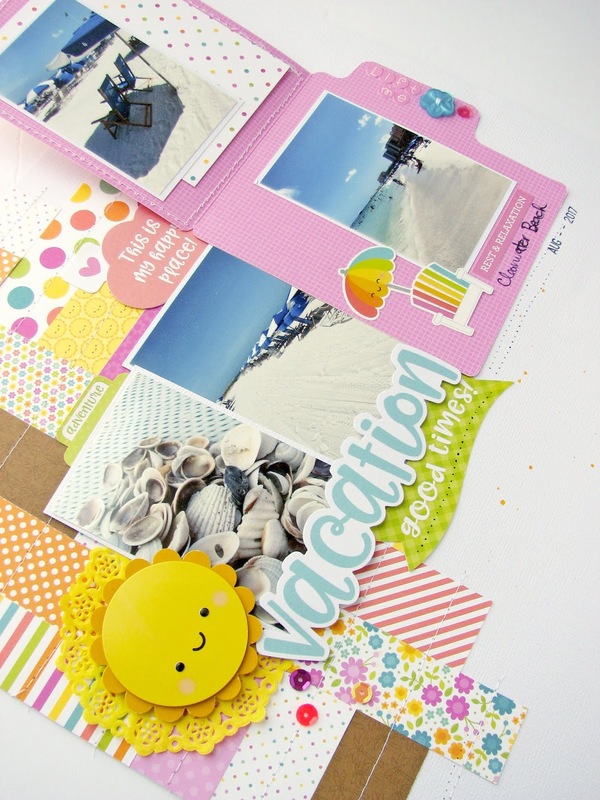 I love it when I get the chance to scrap our vacation photos and the Sweet Summer collection is PERFECT for the photos of our trip to Florida last summer so I jumped at the chance to play with this collection. 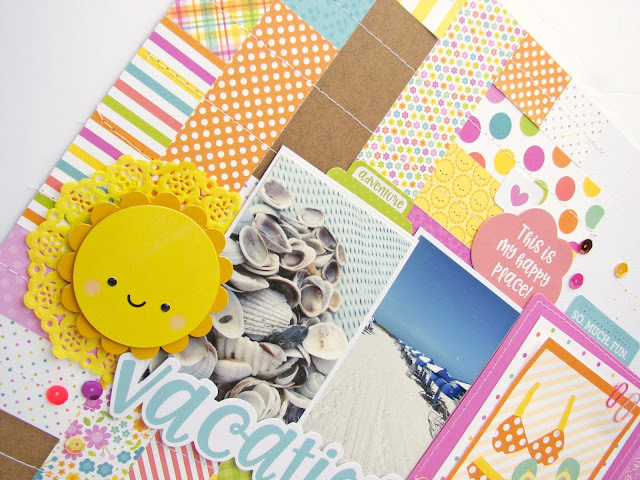 To create this page, I used 1"x3" strips of patterned paper from Sweet Summer 6x6 paper pad and layered them into the top left corner of the layout. I mixed up the pattern and color of the papers as I filled in the corner of the page, making sure to leave some room for my photos. Once I got working through the layout, I realized that the three photos I had chosen weren't going to fit in properly with the pattern I had created on my page. So, I decided to use one of the Summer Assortment Cards to add a flip up on my page and added my photos inside the card. I trimmed down the Summer Sprinkles Double-Sided Cardstock sheet and used one of the journaling cards on the front of the flip up card and to add some decoration to my page too. The card is a great way to add in extra photos to your project, without a lot of bulk and you can record many of your memories inside! So pretty!! Love how you mixed all the papers! !